You might not have viewed your search engine search words as keywords – you just see them as the words to describe what you would like to find. If you are a skilled internet researcher, you probably try to type in keywords that are more likely to yield the results you want. If you have built a well-designed website, your next question should be what is a keyword research tool? This is basically searching in reverse. The search engine uses certain mechanisms to pick the right information for a certain user, mostly using the person’s keyword entry as a starting point, and then searching the text of websites. 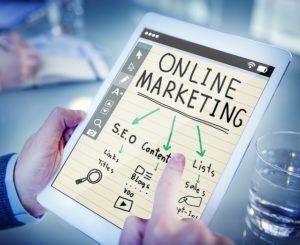 The bad news is that users usually are not expert researchers, and, despite the search engine’s excellent design, relevant websites might be put at the back of the list (given a low search engine ranking), or excluded altogether, because of the wording of the text. Because SEO is a completely free way to promote your site and its information, it is available to anyone. 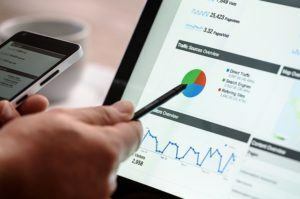 SEO does not imply being dishonest or “beating the system.” Some SEO users might use it to be deceptive, but keep in mind that you want people to read your information, not just come to your site, get disappointed and leave. Therefore, it is better to think of SEO as using the system to bring in users who would want the information on your website. SEO is commonly used as a marketing tactic – search engine marketing (SEM). On a basic level, you can probably just use a search engine’s autocorrect feature as a keyword suggestion tool to find alternative words and phrases to write into your text. Also, just consider different ways that real people would search for your information and whether your information might be relevant to someone making searches into other (but related) topics. Then, play with the autocorrect again. This is the simplest, most inexpensive way to find some alternative search terms. It is basically research in reverse. If you are trying to market yourself locally, it is a good idea to put your NAP information (name, address, phone number) on your site. The way search engines operate, NAP turns out to be excellent local SEM and will increase your search engine ranking. If you know that your target audience is a very specific one, with very well-defined needs, you have a target niche. Therefore, you need to use niche keywords – keywords that individuals of your niche are likely to type in. Counterintuitively, it is better to target a niche, if applicable, than everyone. General users will only end up frustrated with irrelevant results if you trick them into visiting your site. Meanwhile, you might lose individuals who would really like to see it. You want to maximize satisfied visitors, not visitors overall. If this seems daunting, realize that there are websites that offer free keyword research service to anyone who wants it, even private individuals with personal blogs or websites. You really just have to make a search to find what a keyword research tool is for you. Marketing departments of big companies generally want more advanced SEM service. There are even SEO professionals within companies and SEO services that companies can purchase. There are also paid services offered by tech companies. In some instances, there is more to this than just keyword research; it can also involve aspects of how the website code is written, too. There are other SEM approaches besides those that involve the text of a website. Websites are written/coded in hypertext markup language (HTML) or extensible HTML (XHTML). These languages both allow the addition of links between webpages. There are ways to write a webpage such that certain relationships with other webpages and/or with a search engine can happen. Strategic use of these methods to make a webpage/site more usable is referred to as optimized design or information architecture. Meta-tags create the so-called rich snippet – the description you see after a search result. Google, Bing, and Yahoo banded together to create schema.org, a site/project that promotes commonality and usability in how microdata (such as meta-tags) are used. That said, how microdata is structured can also make a difference in how effectively a search engine can find and rate it. Structured data is usually more search engine friendly than unstructured. To end with something a little less technical: To be sure that visitors actually stay and use your website, you must use responsive design – make your website user-friendly. One of the most important aspects of responsive design is making a webpage work on devices of different screen dimensions; even good graphics choices – font, layout, etc. – are responsive design choices. Ultimately, this helps you have a good click-through rate (CTR) – the ratio of the number of users who click on your link to the number who actually proceed to view/use the content. In addition to schema.org mentioned above, there is also SERPs, which offers both priced and free rank-tracking software. Admittedly, these are probably more advanced SEO/SEM sites, however. If you are at this point in your SEM project, then you are likely to need paid services – various tracking and advertising services. However, if you are a beginner or intermediate digital marketer, you can probably do fine with free services. Keyword Tool is a site that offers keyword research for free. It uses Google Autocomplete to help you find good keywords to use for such common searchable sites as Google, YouTube, Amazon, Twitter, and more. Word Tracker is a mostly free site that allows you to find keywords, linking opportunities, pay-per-click advertising assistance and other things relevant to the digital marketer. Google Keyword Planner, a part of Google Ads, is a service from Google to help you choose keywords that will improve your rankings in the Google system. This system is a little harder to understand and seems to be more directed at paid advertisers, but many SEO practitioners find it helpful nonetheless. Search Engine Journal (SEJ) is a site that offers abundant advice for SEM practitioners of all kinds. 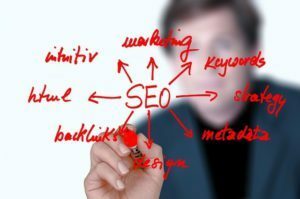 This is the perfect site for the person who finds that improving their SEO skills is important to their success. Keyword research tools are not just for business marketing. Marketing/advertisement tools can be a way to spread your message more effectively, too. Maybe you want to make a certain charity more popular. Maybe you want to let people who are struggling with a specific problem know they are not alone. Perhaps you want to get advice about a certain topic to the people who really want or need help. Keyword research is not about getting your site to come up near the top on every person’s search. It is about getting your content to the people who are most likely to want it, even if they do not go into their searching entirely knowing what they want. It makes a huge difference if you do SEO and your website gets found by the search engines by your readers. It is like having a store in a busy mall and lots of people see you and visit you. Marketers can save a lot of money in this way on advertising costs. I am going to try your recommendation of Moz as that is one of the websites I have been meaning to take a look at but haven’t got round to it yet. Thanks for a most informative read.